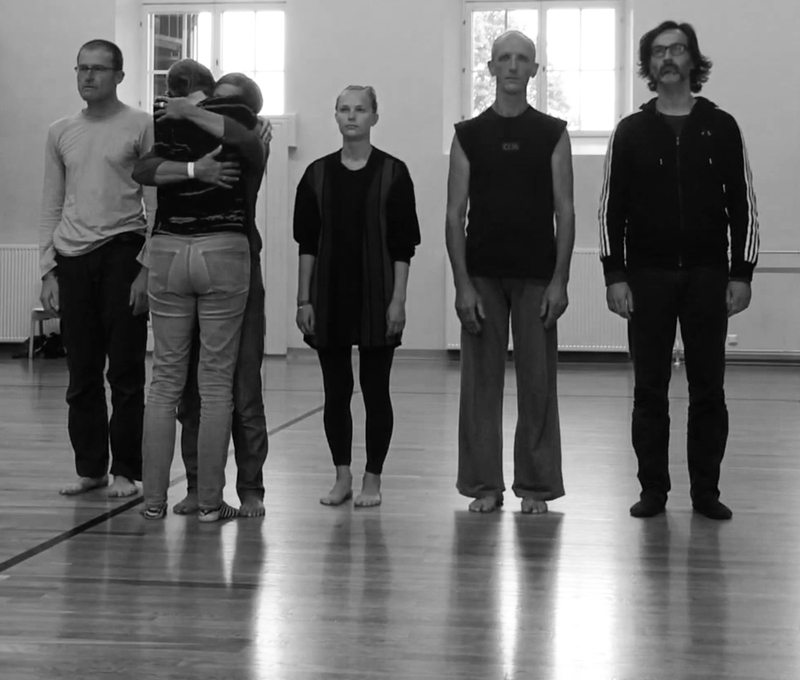 We explore, practice and choreograph the social and gestural ready-mades implied in the act of saying farewell to someone, to a situation, to a relation. The less discursive language is used, the more ambiguous, ambivalent communicating goodbye seems to be. Once for example it comes to hugging the other, difficulties arise. We all have witnessed hugs intended to express some affection or some sort of friendship and closeness, intended to communicate thankfulness and kindness going wrong: Is the hug appropriate after all? Is this the right moment? Does the other respond to it at all? Now, which side first? What do I do with the head, turning it towards or away? Do I pad the back? Do I kiss his/her cheek? Oh, do I give a full hug or just a one-armed one? Do I press my pelvis against the lower part of my hugging partners body? Well, which starts to be a sign of affection may turn into a piece of slapstick, an awkward moment that makes both, the one who initiates and the one who receives, feel uncomfortable. It seems as if one’s corporeality stands in the way of communication – which turns good intentions into a comedy of human misunderstanding! In the workshop we look into social choreographies of saying farewell and explore the affects that are being both displayed and produced by diverse goodbyes in dance, film, everyday life. Rehearsing movie hugs, watching epic, teary goodbyes from Hollywood, singing farewell songs together, and reciting poems of farewell are also part of our venture as well as choreographing farewell tableaus and stage dramatic situations of goodbye: let’s embrace the farewell like no one has done it before!